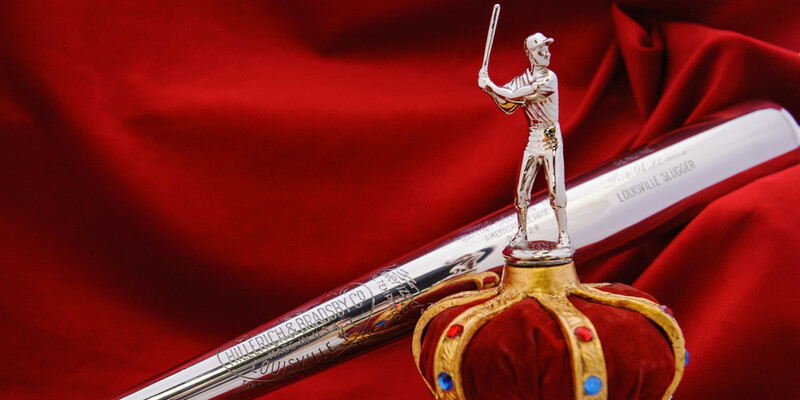 This year marks a special centennial for baseball fans – the 100th birthday of Ted Williams. Understandably, there have been a lot of books and articles written about Williams over the years. He was the last guy to hit over .400, was a two-time MVP, a two-time Triple Crown winner (his 1947 Triple Crown Award is currently on view in our Heavy Hitters 100th display, pictured below), had a lifetime .344 batting average and so much more. For Pete’s sake, the guy lost nearly five seasons to serve his country in the military in not one but TWO wars, and still achieved such greatness! Depending on which tour guide takes you through the factory, you’ll likely hear one of Williams’ legendary stories on our tour too – how he would visit the factory before spring training to select the wood for his bats, how he’d tip his favorite hand turners a few bucks to ensure he had the best bats, and even how he could tell if his bats were off a fraction of an inch or a fraction of an ounce. Ted even taped-up our Chairman Jack Hillerich’s ribs when Jack was injured as a teenager and they were neighbors in Florida. I thought I had heard or read everything there was to know about The Splendid Splitter – that was until a few years ago when Ted’s daughter, Claudia, came to visit with her husband, Eric. Claudia came to our museum in 2015 on Fathers’ Day weekend to celebrate her dad and to promote her book, Ted Williams, My Father. After signing books and participating in a Q-and-A with our guests, I took Claudia and Eric around our factory and museum. We pulled many Ted photographs and documents from our archives and Claudia and Eric enjoyed browsing through them. Then we came to Ted’s contract with H&B. I had looked at Ted’s contract many times before. He signed with H&B in 1937 when he was just 18 years old and still living in San Diego and still playing in the Pacific Coast League. In 1937 the world was less litigious than today– his contract was signed in pencil! He received a check for $15, and two bats. But Claudia’s husband, Eric, who also served as Ted’s lawyer, noticed something else: his birthday was wrong. Ted penciled in his birthdate as October 30, 1918. But all records indicate Ted was born on August 30, 1918. Two months earlier. Plenty of players have fibbed about their age. Pee Wee Reese (also being celebrated in our Heavy Hitters 100th display) made himself a year younger on his H&B contract, writing his birthday on his contract as July 23, 1919 – not 1918. Miguel Tejada signed his contract with us in 2001 noting his birthday in 1976 – not 1974 as was later revealed. But Ted’s two months younger seemed so insignificant. Why would an 18-year-old outfielder for the PCL’s San Diego Padres lie about his age by making him a measly two months younger? It turns out, Eric knew the answer. Ted didn’t want his birthday to be a distraction during the baseball season. He wanted to remain laser focused on his game and insisted on waiting a few extra months to dig in to cake and presents when baseball season was all wrapped up at the end of October. This was long before Ted Williams was a household name – before all his MVPs and .400 season and before he had ever set foot in Fenway Park. He was just an 18-year-old with a great swing and an incredible drive to be the best. The Red Sox have a road game against the White Sox this August 30th. You can celebrate Ted Williams’ 100th birthday that day if you’d like – it’s true that will be the actual anniversary of his birth. But, in accordance with his wishes, I’ll be toasting “The Greatest Hitter That Ever Lived” on October 30th. 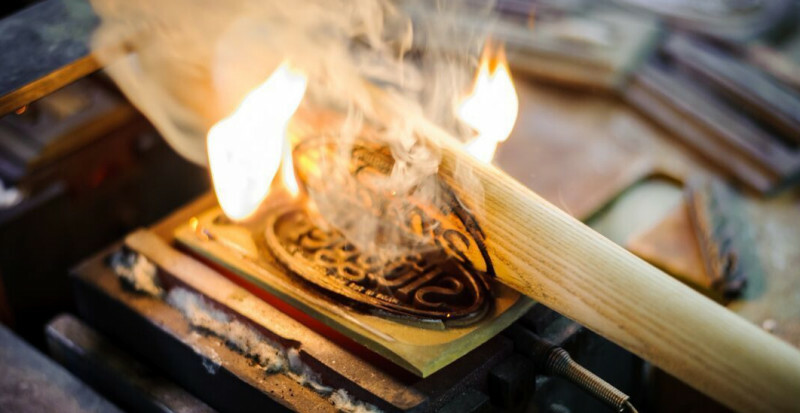 Editor’s Note: Join us on Saturday, September 1st, as Louisville Slugger Museum & Factory celebrates Ted Williams’ 100th birthday! 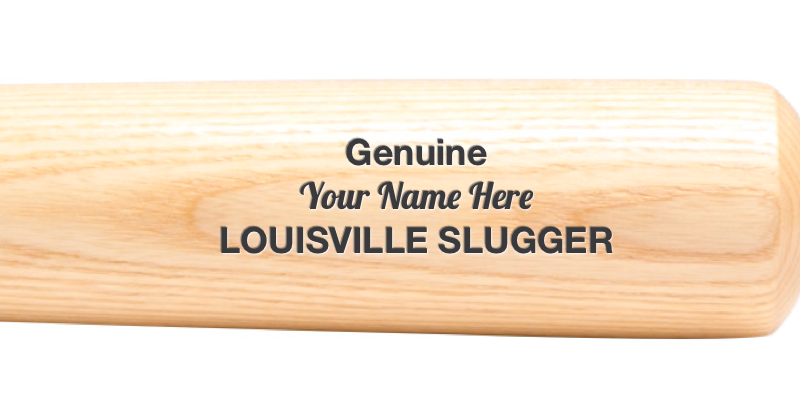 Our first 100 guests that day receive a commemorative mini-bat featuring Ted’s signature. We’ll also spotlight Ted Williams in our programming throughout the day and will even remove his game-used bat from its display case and allow guests to hold it in our Hold a Piece of History experience on Saturday only.